It has been reported that Juventus are plotting to test Arsenal's resolve to keep Theo Walcott by tabling a £10m offer for the winger. The 23-year-old has entered the last 12 months of his contract after snubbing a long-term deal worth £75,000 a week. 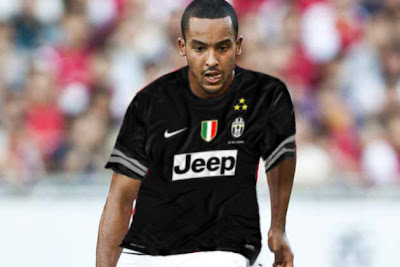 Could he be Marotta's next signing? Arsenal are unwilling to meet Walcott's demands for £100,000 a week and Italian giants Juventus are ready to make a fresh move to beat off interest from Liverpool, Manchester City and Chelsea. The Gunners decided not to sell Walcott before the transfer deadline after the England international told manager Arsene Wenger he wanted to stay at the Emirates. An insider was quoted in as saying: 'Juve have been interested in Walcott for some time but we are coming to the decisive moment.